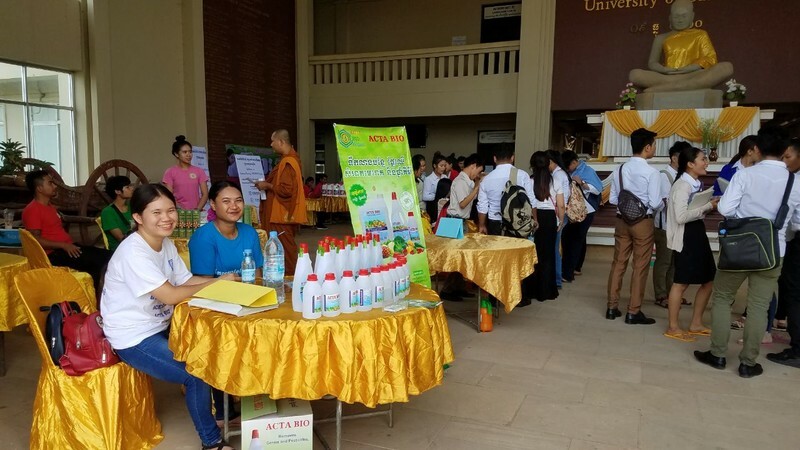 The workshop and product exhibition under the theme of “Small Medium Enterprise’s motivation” was held on 30th September 2018 at University of Battambang, Cambodia, which was organized by Faculty of Business Administration and Tourism under-supported by NOURISH project funded by United States Agency for International Development – USAID with the collaboration of SIMPLE project funded by the Erasmus+ Programme of the European Union on. This event was warmly welcomed speech opening by Dr. Sam Rany, Vice-rector of UBB. The aims of this event are to understand the result of our finding of SME, to understand the format of successful entrepreneurs, and to strengthening the capacity of SME entrepreneurs for business sustainability. This event consists of presentations from a representative from Global Water Company and a UBB student internship from Faculty of Business Administration and Tourism to have a presentation in the morning session and product exhibition in the afternoon session. 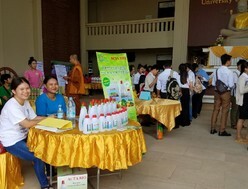 There are 121 UBB students (female 84) including private sectors had attended the workshop and about 250 visitors and 18 booths from representative companies, private enterprises, and UBB students' products to exhibit during the event. 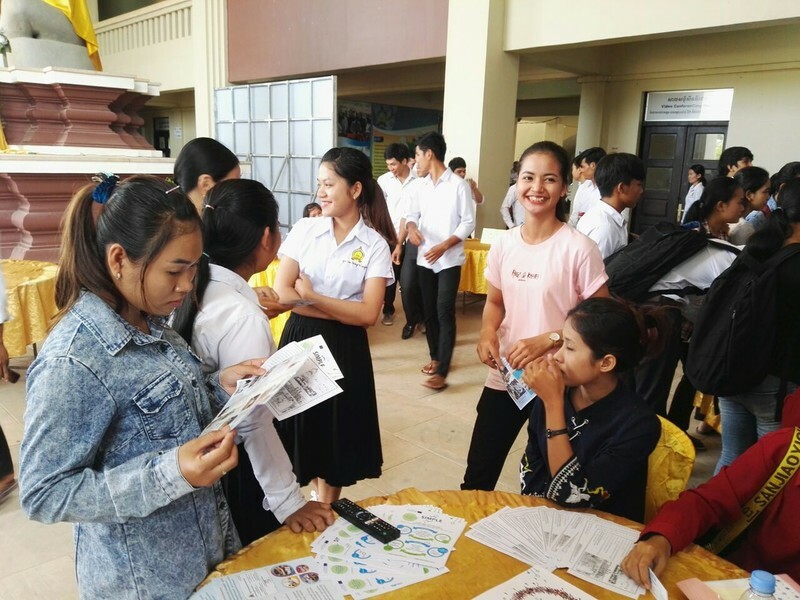 As a co-organization in the event, Project SIMPLE was also promoted and disseminated its activities to students, especially UBB Alumni and Career Centers’ activities by sharing and explanation regarding the importance of doing an internship, how to find the internship and job opportunities, and etc. Additionally, under project SIMPLE’s activities, the project leaflets and two video clips of dissemination of internship and Career day’s activities of the year 2017, were also distributed and promoted. We would like to say thank to Faculty of Business Administration and Tourism and NOURISH project for kind collaborating support of this event.